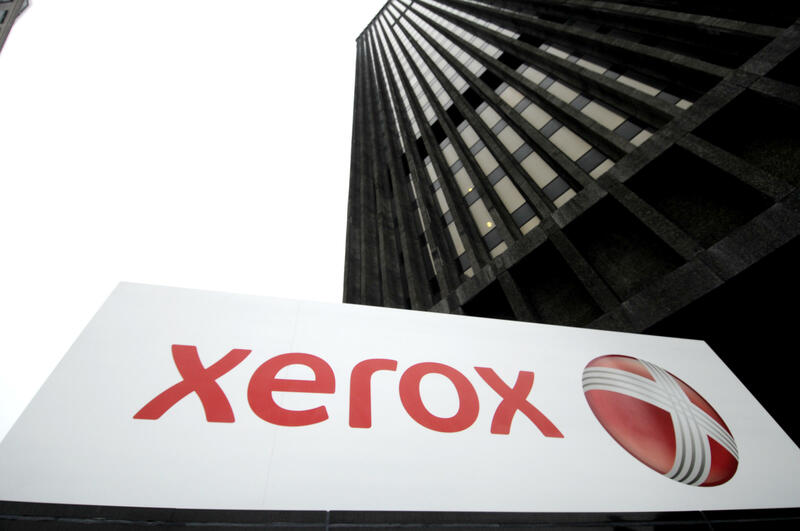 Xerox is reporting third quarter numbers that beat Wall Street estimates. Although the company is seeing some declines in profits and sales, it still exceeded what the analysts were looking for. Xerox earned $179 million dollars in the quarter, down a bit from $183 million a year ago, and sales of $2.5 billion fell close to six percent compared to a year ago when currency fluctuations are accounted for. The company earned 89 cents per share after various restructuring and other costs. Both profits and revenues topped analysts’ estimates. Xerox did increase its expectations somewhat for the fiscal year as a whole. CEO Jeff Jacobson says this was “another solid quarter of earnings, margins, and cash flow in line with our expectations, supported by our ongoing Strategic Transformation initiatives.” He says that all 29 of the company's "ConnectKey" enabled office products are now available and shipping to large and small customers around the globe; momentum is building, as expected, entering the last quarter of the year." At Brighton Securities, George Conboy says Xerox still needs to increase sales, but it is holding steady for now. “With sales down, about six percent, year over year, there’s more of the same of what we’d expected from Xerox for a long time. This is a company that appears to be continuing to be struggling, but a company that continues to be profitable.” He also told WXXI News that if Xerox can’t grow its core business, look for the possibility the company will make some kind of acquisition. Xerox continues to cut costs, and says that in the fourth quarter, it expects to incur $30 million in restructuring and related costs. But there were no, new, major layoff programs announced in the latest earnings report. Xerox now employs about 3,700 people in the Rochester area. That does not include employees who work for Conduent locally. Conduent is the business services company that split off from Xerox earlier this year.